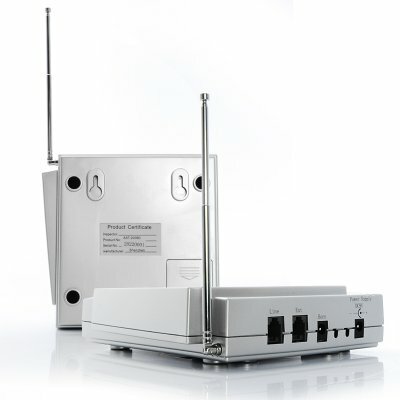 Successfully Added Wireless Control Home And Office Alarm System to your Shopping Cart. Wireless Control Home And Office Alarm System. Protect your home or office with this wireless control remote dialing home or office alarm system. Versatile programming allows you to program up to 4 four alarm zones (garage, back door, bedroom, etc.). For added protection you can program up to 6 different telephone numbers the system will automatically dial in when the alarm is set off and it includes a telephone wire for easy network connection to your telephone land line or home or office computer. Full control of the alarm system can be gained by calling the phone line that the alarm system is hooked up to. The alarm horn is housed in the keypad to minimize setup difficulties. Get a good nights sleep with Chinavasion's full QC testing before shipment and direct shipping right to your door, securely order your sample online today. now theres a real keeper. everybody who needs a reliable security system thats affordable, should order this product. its easy to install, the wireless connection holds up over great distances, and the price is unbeatable. on 2009-01-12 12:43:30 excellent source for protection,whether asleep,or at work. I believe this product is nicely priced.and also very easy to operate,without all the other hassales of dealing with wiring your setup, for protection .I give this product 5 stars!!! I am really satisfied and surprise this alarm system. It's easy to install and use. Manual is clear and contain sufficiency info. I wish couple more sensors the packet, but looks loke it's possible include it later. Great item.